FR-S offers a genuine sports-car driving experience with daily-driver livability at affordable prices. A few typical sports-car vices are present, including a tiny back seat, stiff ride, and a low-slung seating position that can complicate entry and exit. 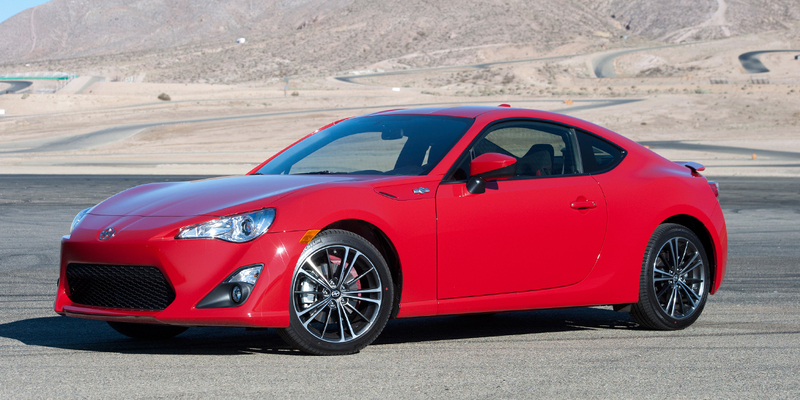 Scion parent company Toyota developed the FR-S with Subaru, which sells its own version as the nearly identical BRZ. FR-S is a compact-sized sports car with rear-wheel drive and seating for four. The lone body style is a two-door coupe; the lone engine is a 200-horsepower 2.0-liter 4-cylinder mated to either a 6-speed manual transmission or a 6-speed automatic. The FR-S comes in a single trim level, but, in keeping with the Scion brand’s owner-personalization aesthetic, many dealer-installed options are available. The 2015 Scion FR-S gets a number of minor updates, including a retuned suspension, “shark-fin” roof antenna, larger exhaust tips, automatic on/off headlights, and carbon-fiber-look interior trim panels. Also new is a limited-edition Release Series 1.0 model, a factory-modified FR-S with a production run of just 1500 units. The EPA estimates fuel economy at 22 mpg city/30 mpg highway with manual transmission, 25/34 with automatic. FR-S requires premium-grade gas. In Consumer Guide® testing, a manual-transmission FR-S returned 31.8 mpg in mostly highway driving. 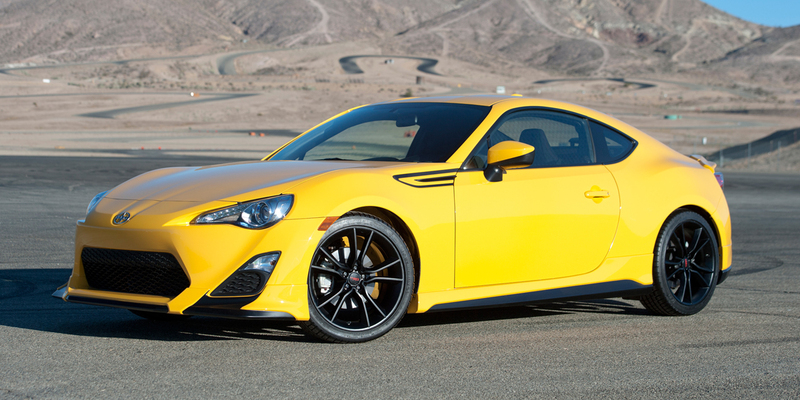 Along with the similar Subaru BRZ, the Scion FR-S is almost in a class by itself. It has respectable performance credentials, a fun-to-drive personality, and surprisingly modest pricing. Other relatively affordable 4-cylinder sporty/performance cars include the Mazda MX-5 Miata and the new-for-2015 Ford Mustang EcoBoost. The Mazda is great fun to drive and it is a convertible body style, but it lacks a back seat and can’t match the FR-S’ greater practicality. The Ford Mustang EcoBoost offers both a coupe and convertible body style, but is significantly larger and heavier, which makes it feel less nimble. 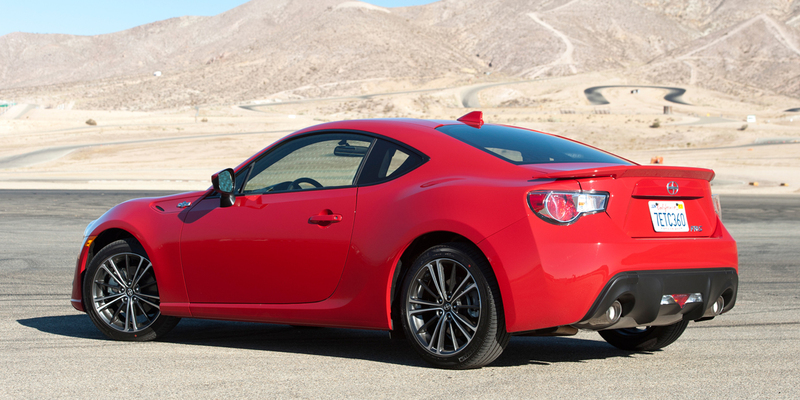 Enthusiasts in the market for a new car should take a hard look at the FR-S. Besides the standard sports-car vices of a somewhat firm ride, barely habitable back seats, and somewhat poor rear-corner visibility, the FR-S makes up for those demerits with lively performance, good fuel economy, and unusual-for-the-class levels of comfort and daily drivability. BODY STYLES 200-hp, 2.0-liter 4-cyl.